The locomotive that I blame for my return to being a heritage railway enthusiast, nicknamed the “Pocket Rocket” has returned to steam on the North Yorkshire Moors Railway. 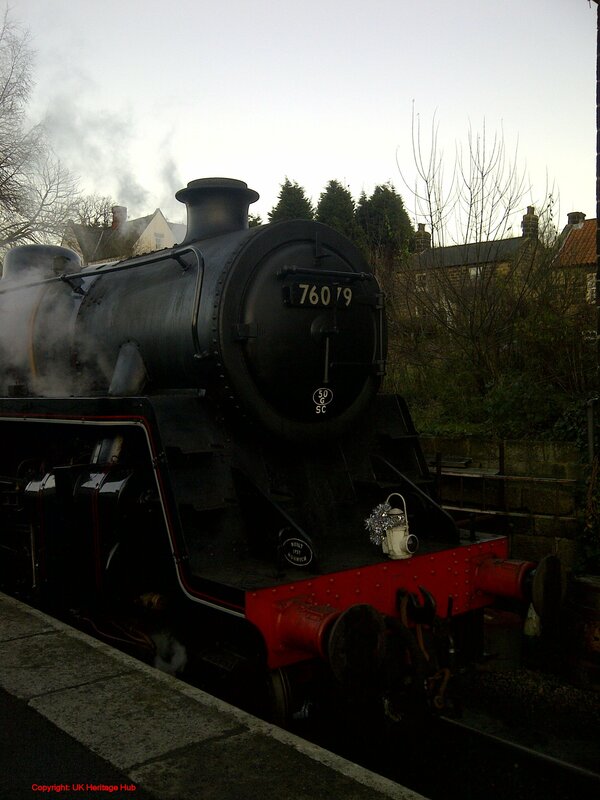 The steam engine, BR Standard 4MT 2-6-0 76079 is now carrying an early BR crest and is pictured in one of its first runs post-overhaul in the pictures below, provided by Rowan Jackson, Editor of UK Heritage Hub.. Needless to say that I’m very happy to hear that it is once again in working order in Yorkshire. 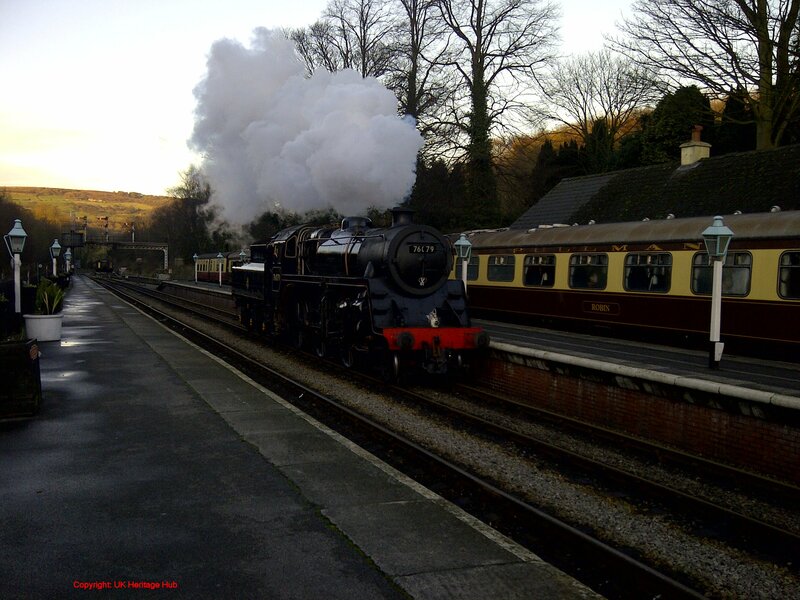 The BR 4MT 2-6-0 locomotive is a popular locomotive, famous for it be such a strong performer. 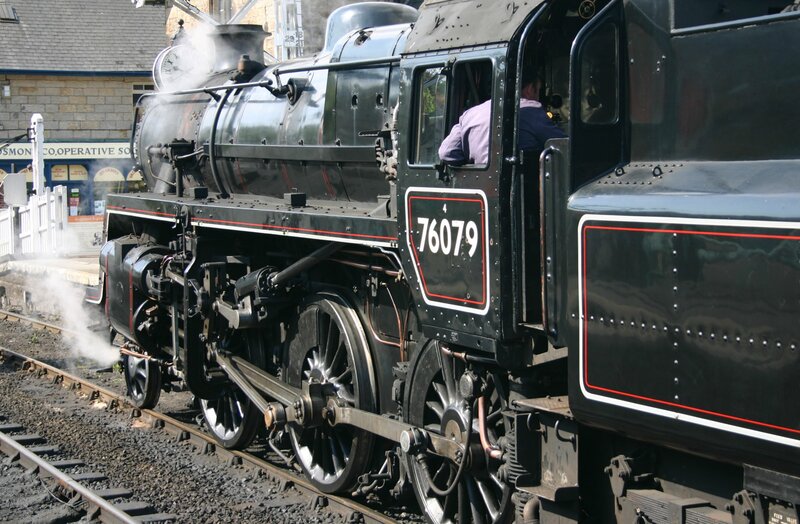 It is one of two BR Standard 4MT 2-6-0’s currently in working order, the other (76084) is based on the North Norfolk Railway. The other two survivors are based on the Gloucester and Warwickshire (76077) and Mid-Hants Railway’s (76017,) the latter being overhauled. “The pocket rocket”,,,,Oh what memories, she was at Sutton Oak St Helens loco shed together with 76076 , 76077, when i first started on the railways age 15 as an engine cleaner on £2,/ 10 shillings a week! 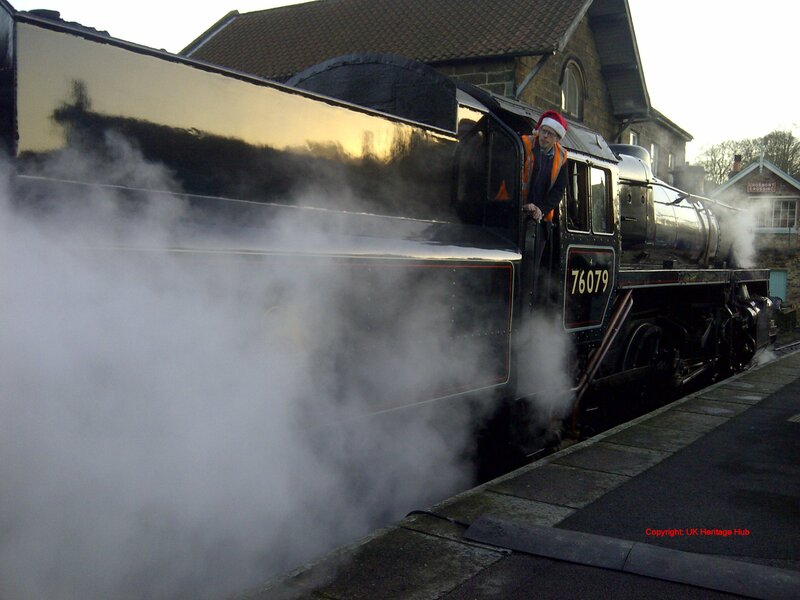 Little did i know then that one day i would drive the mighty MALLARD! and also get invited to york N R M to get V I P treatment with other drivers of the a 4 pacific “streaks” at the GREAT GATHERING….Yes, the “pocket rockets” were brilliant loco,s,,, john.